Some people live life to the full. Chris Connors lived life till it was overflowing. The Massachusetts man liked to think of himself as just a 'regular Irishman', but his 67 years on the planet - which ended due to pancreatic cancer amid a whisky-soaked house party last Friday - were anything but regular. When he was 26 he spent 40 hours on a life raft in the Caribbean Sea; at 64 he climbed to the base camp of Mount Everest. And the years around those two points were just as lively, as his incredible obituary revealed Tuesday. 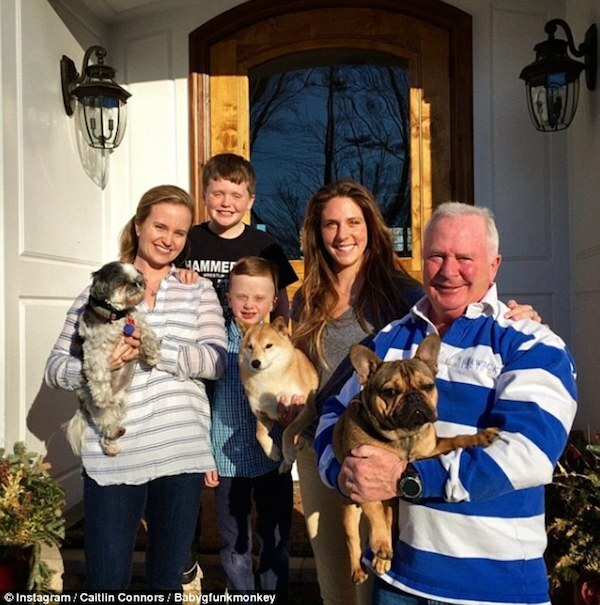 The rest of the tale - written by his eldest child, Caitlin Connors, 33, and her cousin Liz Connors - is the stuff of local, and thanks to the internet national, legend. Connors, a 'ladies' man, game slayer, and outlaw' - and runner of a charity fund - from Quincy, Massachusetts, had spent his life living to extremes, they wrote. In 1975, at the age of 26 he attempted to circumnavigate the globe - an expedition that ended with him spending two days floating in a life raft off the coast of Panama. He became a Golden Gloves boxer - despite his skinny physique - following a passion that would, quite literally, last the rest of his life. His sense of adventure also took him to Wall Street, where - despite a complete lack of any financial background - he made a career. And in-between, the obit says, he got into a fight in a Jewish deli while dressed as a priest, would swim in the Atlantic in January, founded a rugby club and saved a woman from a knife-wielding mugger in NYC, walking away with the scar to prove it. After his brother died in the September 11 attacks Connor biked 530 miles to visit all three of the place crash sites. Connors was a man who 'attacked life; he grabbed it by the lapels, kissed it, and swung it back onto the dance floor,' his obituary read. He even bought up the York, Maine, fire department’s search-and-rescue boat in 2003, and opened, with his family, a fund to educate children about the dangers of open water, the Boston Globe reported. 'His regrets were few, but include eating a rotisserie hot dog from an unmemorable convenience store in the summer of 1986,' the obituary noted. Caitlin Connors told the Globe that there were 'a million other stories I wish we could have put together, but the point was to get the stories out'. And out they have indeed got - his obit has gone viral since it was published Tuesday. Even after he was diagnosed with terminal pancreatic cancer in September, he didn't let the party stop, his daughter said. She arrived at his York, Maine home in September to see him with his arm around the shoulder of a friend holding a shotgun and wearing just a bikini. 'This is the first night of hospice and I’m having a great time!' he told her. He died surrounded by his friends at a house party, stark naked, drinking champagne. A celebration of Connors's life - expected to number 200 people - will be held on Monday in York, Maine, at 4pm in the York Harbor Inn. Each person is asked to bring along a story of the man, which will be bound into a book and given to his sons, Chris, 11, and Liam, 8. Connors' family have requested mourners forego sending flowers and just pay the open bar tab at the wake instead - or contribute to The Chris Connors Fund for water safety instead. 2. This might be the world's most heartbreakingly honest obituary. 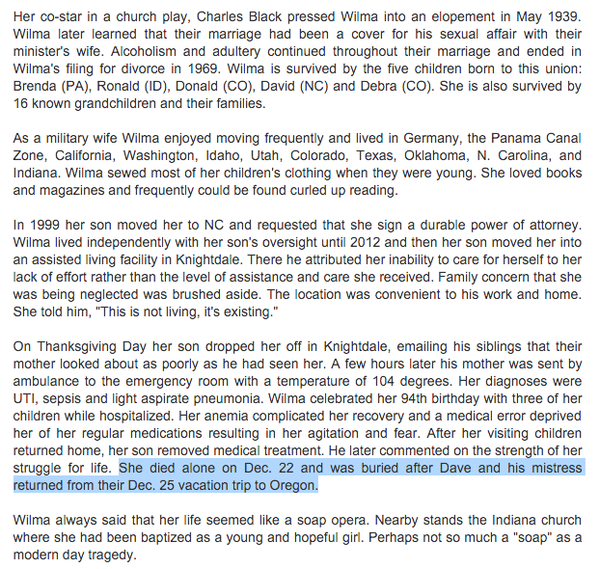 Wilma Marie Voliva Black struggled into life over 94 years ago. Alone, Eva realized that her sixth child wasn't crying and unwrapped the umbilical cord from her only daughter's neck on December 11, 1921. The obituary goes on to detail Black's difficult childhood during the depression, the discovery that her husband only married her to hide an affair, and her eventual move into assisted living. The single quote from Black in the piece is this, which she said to one of her sons about her time in the assisted living facility: "This is not living, it's existing." While the story of Black's life is heartbreaking, there's also something really gorgeous about the obituary in its bleakness; it's the embodiment of Bauhaus architecture or a Lars von Trier film. And while she may not know it (assuming her ghost isn't checking the Internet right now), Wilma Black gave us that dark and beautiful gift. Angus B. MacDonald of Glace Bay, N.S., was prepared before he passed away on Good Friday. Prior to his death, he penned his own colourful, quirky obituary. "I bought the farm. I bit the dust. So I guess I'm off to the promised land eh? The promised land! Imagine!" 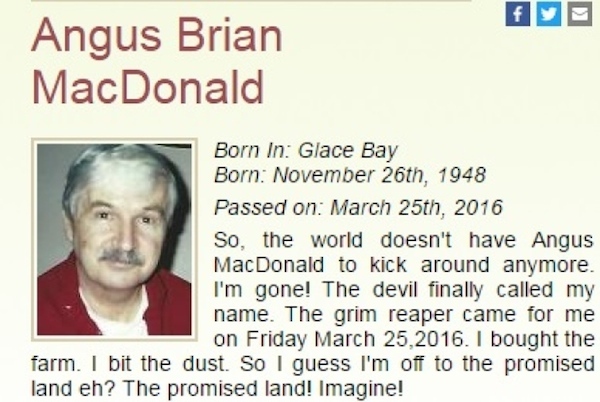 Since the obituary was published in The Cape Breton Post, it's gone viral and is being praised by people MacDonald never met. "This is perfect," wrote one Reddit user, while another called it "inspiring." In the obituary, MacDonald mused about how he'll be remembered and paid tribute to his family. "So anyway, I think I was a pretty nice guy, despite being a former punk and despite what some people would say about me. What did they know about me anyway? I loved my family and cared for them through good times and bad; I did my best. "I had some serious health problems the last few years, but survived them (up till now anyway) with the help of my wife, Brenda; my granddaughter, Nicole; my sweetheart little dog, Scarlett, and my rescue kitten, Dolly." MacDonald writes that his dog Scarlett died in 2013, a loss he felt deeply. "So I guess if there's a place in the afterlife where little dogs and old dawgs go, then that's where you'll find me and Scarlett. Maybe I'll see you all there sometime." Many of the condolences below the obituary online have been posted by people who never met the man, but were moved by his last words. "I did not have the pleasure of meeting you, but you have inspired me to write [my obituary]. That was awesome," wrote commenter Raylene Broussard. "Scarlett is awaiting you.. Rest in peace." He also used his obituary to explain his wishes for a memorial. "I don't want a funeral," he wrote. "A funeral is a waste of harrrrrrd earned and harrrrrrd saved money that my family can use now. I was a very private person in life, so I don't want to end that life with people gawking at me while I lay in a coffin." Instead, MacDonald wanted to be cremated and for his ashes to be scattered, quipping: "So instead of going to see the great creator, I will be going to see the great cremater." MacDonald asked that memorial donations be made to the palliative care unit at the Cape Breton Regional Hospital. "Happy trails! Love Angus B. MacDonald." Give me another candidate or give me death. 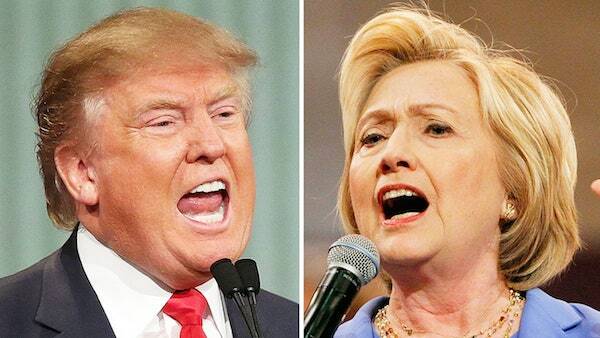 The funny obituary of a 68-year-old Virginia woman who passed away on Sunday, May 15, claimed she died to avoid the increasingly likely choice between Donald Trump and Hillary Clinton in the upcoming presidential election. “Faced with the prospect of voting for either Donald Trump or Hillary Clinton, Mary Anne Noland of Richmond chose, instead, to pass into the eternal love of God on Sunday,” the obituary read, which was published in the Richmond Times-Dispatch on Tuesday, May 17. Her husband, Jim Noland, told local news station NBC12 that one of their sons penned the political line, and that it wasn’t a shot at either candidate, but rather a way to carry on Mary Anne's sense of humor. His wife passed away after a long battle with lung cancer. This isn’t the first eulogy to mention America’s very fraught politics in recent months. The obituary of a 70-year-old Pittsburgh man, Jeffrey Cohen, who passed away in January, asked his friends to refrain from voting for Trump. “Jeffrey would ask that in lieu of flowers, please do not vote for Donald Trump,” the obit in the Pittsburgh Post-Gazette read. The votes-instead-of-flowers request seems to be a trend. A 34-year-old mother in Alabama, Katherine Michelle Hinds, also requested no Trump votes in her obituary in the Opelika-Auburn News, which was posted earlier in May. “She was a Blue, southern girl from a Red, southern state,” it read. On the other hand, Carl Crocetti, a 62-year-old Massachusetts man, made a dying wish to his family for Donald Trump to become president. “Carl requested in lieu of flowers that people elect NOT to vote for Hillary Clinton in the presidential election in November,” his obituary on the Farley Funeral Home website said in the May 1 posting. An obituary for a man from Scranton is getting a lot of attention, not necessarily because of what is in it, but because it's written in his words. 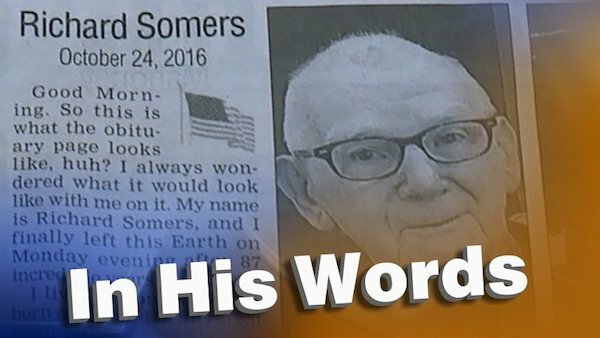 Richard Somers, 87, from Scranton, made a lot of new friends two days after his passing because of the way his obituary was written. It started an unusual way with a greeting from the deceased. "Good morning. So this is what the obituary page looks like, huh? I always wondered what it would look like with me on it." Richard Somers' voice jumped from the page and into the hearts of thousands of people who have read his unusual obituary. "I was a little hesitant at first," said Richard's daughter Christine Somers. "I was like, this is not traditional, but I think it really captures his spirit." Somers' son Rick Jr. was the actual author. Christine got on board because the narrative of her dad's life sounded like it came from him. We met with the family as they were preparing for Richard's funeral services. There were a lot more smiles than you'd expect, but anyone who read his obit knows Richard was a funny guy. He wrote about finishing high school after World War II on the G.I. Bill. "Earning $75, great beer money in those days," his son wrote from memory. "I think the best part is, we accomplished our goal," said Rick Jr. "We wanted to portray our father the way he worked with us and lived with us. People are so touched and feel like they know him." Thousands of Richard's new friends have reached out, and not just in Scranton. The family's received messages from places like Kentucky and Florida. "He would probably be laughing and say, 'Ha ha, I told you so! I'm so important'. I think in his own mind, he thought he was important," Christine laughed. The unusual obit was not Richard's plan, but his children know he would be on board with it all. "He was constantly, day after day, looking for people that he could make a difference in their lives and the opportunity was happiness for him," Rick said. And this is his final way of making someone's day a little brighter. "I think it restores faith in humanity again," Christine added. "It gives people hope that you can live a good life, help other people, treat people well, love your family, be respectful of people and still have a good life, and die a happy death, really." The obit ends with a final wish to the reader, "I wish you all well in life, I hope you experience the joy and love I have come to know." The Somers family members say they never planned on the obituary going viral. They had just hoped for a few smiles when people picked up the paper in the morning. They think their dad definitely would have liked all the attention. "Good Morning. So this is what the obituary page looks like, huh? I always wondered what it would look like with me on it. My name is Richard Somers, and I finally left this Earth on Monday evening after 87 incredible years. I lived a wonderful life, born and raised in this great town called the "Electric City." I came along a few months before the Great Depression hit, the youngest of five children born to Alice May and Charles J. Somers. 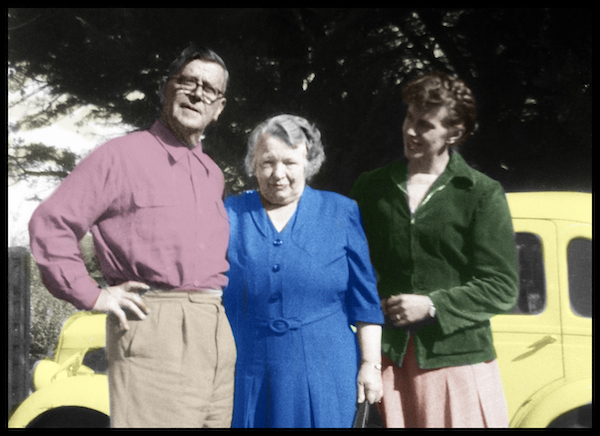 I was blessed with two brothers, Robert and Charles; and two sisters, Mary Alice (Somers) Weber and Ann (Somers) Foley. All my brothers and sisters had beautiful children, who all thought very highly of me. Dad started on the trolleys, and then became a bus driver. He died in 1958. Mom was a spitfire old Irish Catholic who ruled with a wooden spoon. She passed in 1989 at the age of 92. Boy, did I give my parents trouble. Wasn't doing well in school, so I decided to join the Army at age 17, but only with my parents' permission. During WWII, I served in the cleanup crew in Germany. I promised mom that I would go back to high school after the war and I kept my promise, attending Scranton Tech while on the GI bill, getting paid $75 to go to high school - great beer money in those days. A few years later, our son, Ricky, was born, followed by his sister, Christine, two years later. I had the perfect family. I was proud of the work I did representing union members as president of the Postal Workers Union, while also serving as treasurer of the Post Office Credit Union for over 25 years. When I retired in 1990, I asked Ann if it was OK. She was fine with it as long as I was out of the house by 9 a.m. every day. During retirement, I enjoyed volunteering at the Geisinger Community Medical Center gift shop, where I was honored to receive the Dora Cassebaum Memorial Adult Volunteer Service Award for contributing the greatest number of service hours, some 20,000. Additionally, I enjoyed volunteering for the Celtic Hospice and the American Cancer Society. Ann died in 1997 after her battle with cancer. She was my rock and she was an incredible mother to my kids. I have missed her terribly, and I can't wait to see her. I now have four incredible grandchildren that I am going to miss, but will be watching over them - Hali and Noah Somers of Scranton; and McAuley Kate and Aidan Somers, who live in Dallas. The times we shared were priceless. They would call me "poppy" and I loved that name. I hope you know what you meant to me. Lastly, I need to thank quite of few people in my life. Thank you to my nieces and nephews who loved me and took great care of me to the end. I realize this weekend will be the party to end all parties. To Dr. William Dempsey, who kept me together, for the most part, over the last few years. You are a tribute to your profession, a true "Gentleman Doctor." To Fran, Carlon, Arthur, Jimmy and Greg McGrath (deceased) and others. When I lost my wife, you filled a wide gap in my life that made me whole. To the Millett Family and the Pines Senior Living staff, I may have been a pain in the rear, but thank you for allowing me to live in such a great facility for the past year and a half. I am so grateful for each and every one of you. To the residents, you are beautiful people. I was honored to have had the opportunity to call you friends. I will miss our meals and our happy-hours together. My position of Resident Council has now changed to President Emeritus. In addition, I would like to thank the staff at the Hospice of the Sacred Heart, Dunmore, for allowing me to enjoy my final days with my family and friends, though loudly. Your kindness, compassion and comfort allowed me to leave in peace. And finally, to my kids and Kelly, I have never been so proud to be called "Dad." From the dinners, to the holidays, to family vacations and family time, I leave this earth full of love and cherished moments. Be assured that I will always be with you. I am sure Mom will be at the gates waiting for me. I love you all from the bottom of my heart. My funeral will be from the Frank M. Regan Funeral Home at 715 Linden St., Scranton. My viewing will be there from 3 to 7 p.m. on Friday. My funeral will be held on Saturday at 9:30 in Immaculate Conception Church, 801 Taylor Ave., Scranton. I will be buried beside my wife in Cathedral Cemetery. Please go to church directly in the morning so I can spend time with my kids, and don't be late. Memorial contributions may be made in my name (please spell Somers correctly) to the Women's Resource Center of NEPA, 620 Madison Ave., Scranton, PA 18510, or the Scranton School for the Deaf and Hard of Hearing Children, 537 Venard Road, South Abington Twp., PA 18411. I wanted to thank you for taking time out of your day to read this obituary and share my life experience. I wish you all well in your life, and I hope you experience the joy and love I have come to know. God bless each and every one of you." Her sweetly smiling face appeared Feb. 14 in the obituaries of a local newspaper. 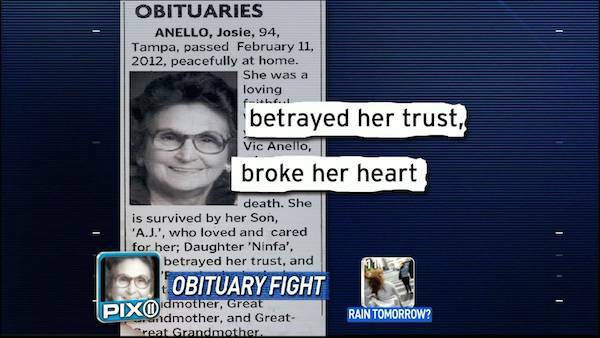 In most ways, the accompanying obituary for Josie Anello, who died Feb. 11 at 93, was worded like many other death notices. She had been supportive and compassionate, she had lived for friends and family and would be missed. "She is survived by her Son, 'A.J. ', who loved and cared for her; Daughter 'Ninfa', who betrayed her trust, and Son 'Peter', who broke her heart." The condemning language reveals a long-standing rift between Angelo "A.J." Anello, who wrote and placed the obituary, and his two siblings — particularly his sister. A different obituary of Mrs. Anello, this one placed by Mrs. Anello's daughter, appeared the next day. It contained most of the same information, minus any reference to broken hearts or betrayals. Over the next week, the inflammatory obituary spread across the Web and social media. Internet bloggers posted copies of it, some with headlines like "Insanely Passive-Aggressive Obituary." As with many a family quarrel, it comes down to money. Basically, Angelo Anello, 63, and his sister, Ninfa Simpson, 65, accuse each other of stealing from their mother. Simpson says Anello drained the mother's savings and maxed out her credit cards. Anello says Simpson and her husband used their mother's Social Security checks to go on vacations to Branson, Mo., and Alaska. Both siblings deny the other's allegations. Said Simpson: "My brother is not telling the truth. He's having his moment of revenge." Said Anello: "They are so riddled with guilt, what they are doing is pointing fingers at me." The siblings agree on one thing: Peter Anello, the eldest brother, cut himself off from the family more than 25 years ago and speaks to no one. He could not be reached for comment Wednesday. That her children would hit their 60s estranged from each other might have disturbed Mrs. Anello, a Tampa native who worked in a cigar factory and was known for her terrific pasta and Cuban sandwiches. Simpson said her relationship with Angelo Anello was fine until 2007, when Vito Anello, Mrs. Anello's husband of 67 years, died. That was when Angelo Anello became more controlling, she said, cutting off Mrs. Anello's access to family members unless they went through him first — an allegation Angelo Anello denies. Mrs. Anello spent part of 2010 and 2011 living with her daughter in North Carolina, then moved to Land O'Lakes to live with Angelo Anello, a former local radio deejay and engineer. Angelo Anello — at times using the handle "Dangerous Dan" — worked for several radio stations in the 1960s and 1970s, including WDAE 1250 in Tampa and WLCY Y95 in St. Petersburg. For several years in the 1990s and early 2000s, he frequently wrote letters to newspapers to champion Ybor City or to protest reckless overdevelopment. Simpson said her family has been devastated by the public airing of dirty laundry. "I have never done anything to my brother, and I have never betrayed my mother in any way," Simpson said. "Everybody that knows me and knows the family is furious." Anello said his mother died at home, in his arms, of kidney failure. He said he composed the obituary in the Tampa Tribune "not to get even with anyone, or to be vindictive or spiteful. The obituary reflected what she had said right up to the end." Did she really say her son broke her heart and her daughter betrayed her trust? "She didn't put it like that," he said, "but I being a journalist myself have a passion for the truth." However, the obituary placed by Angelo Anello lists his mother's age as 94. All other records — and the obituary Simpson placed — list her age as 93. 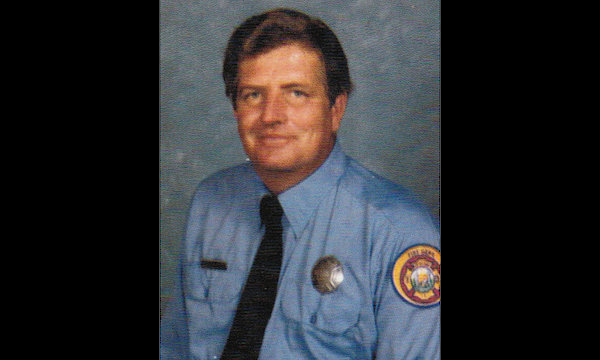 When Sharah Currier and her three siblings wrote an obituary for their dad, firefighter William Ziegler, they hoped a few people would chuckle. Ziegler himself had a great sense of humor. Instead, their zany and touching tribute went viral. Nearly a quarter million people have viewed the obituary on NOLA.com. It has been shared to 13 million people on Facebook. And sites like the Huffington Post and even UK's Daily Mail have taken notice. "We had hoped someone in New Orleans would see it and appreciate it. But we never expected this," Currier said. The obituary begins, "William Ziegler escaped this mortal realm on Friday, July 29, 2016 at the age of 69. We think he did it on purpose to avoid having to make a decision in the pending presidential election." The obituary talks about Ziegler's time in the Navy, where "he only stuck it out for one war." And it recounts his 25 years as a New Orleans firefighter, which ended when "he suddenly realized that running away from burning buildings made more sense than running toward them." At the end, the kids assure us that "unlike previous times, this is not a ploy to avoid creditors or old girlfriends." Friends who knew Ziegler have left comments on NOLA.com and reached out to the kids. Currier said they even reconnected with a cousin who they had lost contact with for 30 years. And readers who never knew Ziegler expressed their appreciation for the kids' tribute. "He must be smiling to know that his children inherited his grand sense of humor and shared it so we could all smile together," said user Yoda-Yat in a comment on NOLA.com. Currier said the reaction has helped them deal with the loss of their father. "Being able to laugh in the face of death is not real common. And it's not easy to do," Currier said. "My brother said this was our last gift to our father. He would have been floored by this." William Ziegler escaped this mortal realm on Friday, July 29, 2016 at the age of 69. We think he did it on purpose to avoid having to make a decision in the pending presidential election. He leaves behind four children, five grandchildren, and the potted meat industry, for which he was an unofficial spokesman until dietary restrictions forced him to eat real food. William volunteered for service in the United States Navy at the ripe old age of 17 and immediately realized he didn't much enjoy being bossed around. He only stuck it out for one war. Before his discharge, however, the government exchanged numerous ribbons and medals for various honorable acts. Upon his return to the City of New Orleans in 1971, thinking it best to keep an eye on him, government officials hired William as a fireman. After twenty-five years, he suddenly realized that running away from burning buildings made more sense than running toward them. He promptly retired. Looking back, William stated that there was no better group of morons and mental patients than those he had the privilege of serving with (except Bob, he never liked you, Bob). He can likely be found forwarding tasteless internet jokes (check your spam folder, but don't open these at work). Expect to find an alcoholic dog named Judge passed out at his feet. Unlike previous times, this is not a ploy to avoid creditors or old girlfriends. He assures us that he is gone. He will be greatly missed. It shocked everyone to the core. When readers opened up a local newspaper in Reno, NV, and they flipped to one mother’s obituary, they could not believe what her son and daughter wrote. The children of Marianne Theresa Johnson-Reddick did not hold back about their abusive mother. “On behalf of her children, who she abrasively exposed to her evil and violent life, we celebrate her passing from this earth and hope she lives in the after-life reliving each gesture of violence, cruelty, and shame that she delivered on her children,” the scathing obituary says. The two offspring, Patrick and Katherine Reddick, decided to share their life of pain and abuse in Marianne’s obituary to raise awareness about how such neglect impacts the lives of innocent children. Patrick and Katherine say that Marianne regularly beat them and ran a prostitution ring out of their home, where they were forced to witness regular atrocities. Eventually, they and their four siblings would be put in the foster care system. When Marianne died, Patrick said aloud, “Ding dong, the witch is dead.” The words sound cruel, but when Patrick went to visit his estranged mother on her deathbed, she became so violent toward him, doctors had to sedate her, and Patrick had to wear a disguise to keep her calm. Clearly, even now as adults, Marianne’s children are suffering from her behavior. By courageously sharing their mother’s abuse, they are bringing this dark reality to light. 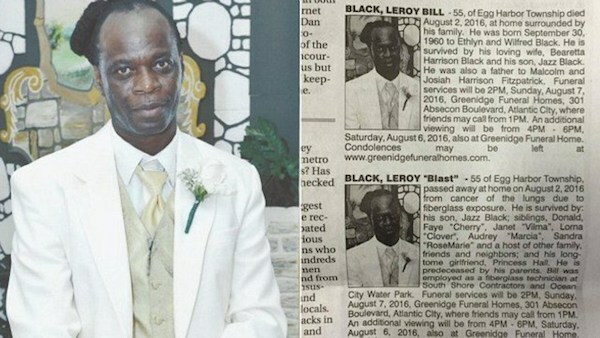 Leroy “Blast” Bill Black died Tuesday of lung cancer, and shortly thereafter, two different obituaries appeared in the same edition of the Press of Atlantic City. In one obituary, Black was described as being survived by his “loving wife Bearetta Harrison Black,” while the other says he is remembered by his “longtime girlfriend Princess Hall”. The paper ran both obituaries because “the wife wanted it one way and the girlfriend wanted it another way,” according to the Philly Voice. 0 Response to "9 Most Bizarre Obituary"